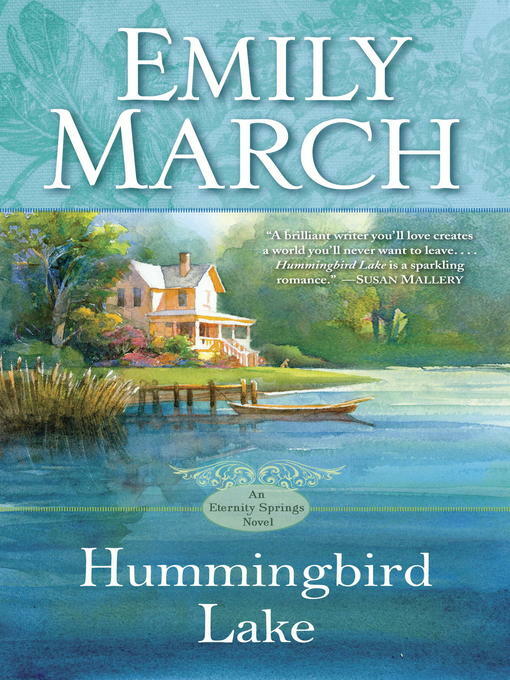 Experience the magic of Eternity Springs, where broken hearts find healing, in this uplifting novel in Emily March's unforgettable series. Haunted by painful memories, pediatric surgeon Sage Anderson gives up medicine and moves to Eternity Springs. There she finds a place to call home, but even her newfound success as a gifted artist isn't enough to keep her nightmares at bay. Colt Rafferty is about to change all that. Eternity Springs is a refuge for Colt, a place to ground himself when the stress of investigating tragedies takes its toll. He has come here for a little R & R, but instead of relaxing, he finds himself fascinated by the mysterious redhead whose secrets beg to be discovered—a beauty running from her past, a heartsick woman in desperate need of the sweet sanctuary of a devoted man's embrace. And he is just the man to show her the true path to peace—by offering her the healing power of love.